We are very excited. 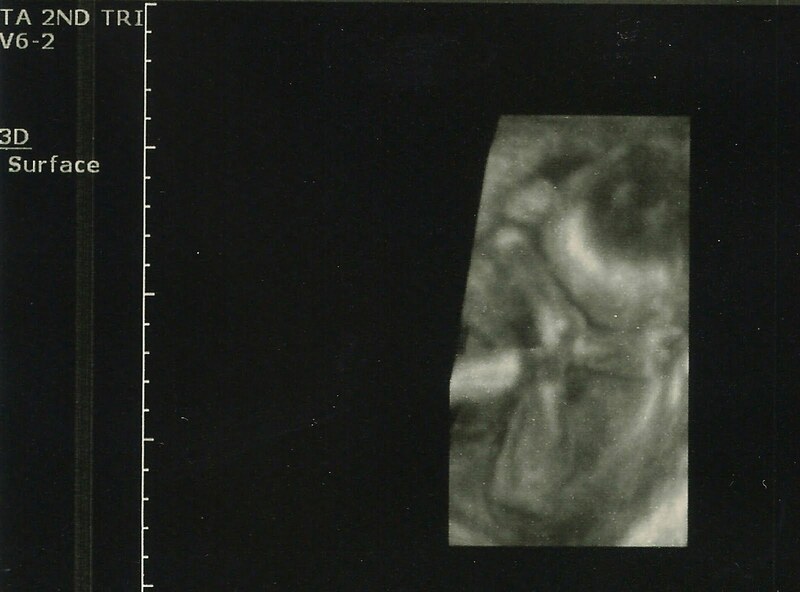 Baby boy didn't show too much on the ultrasound. Here he is hiding his face. You can see his elbow and knee touching eachother. He did make it pretty obvious in the first few minutes that he was a boy. Everything looked great on the ultrasound and they said he has long arms and long legs. Our 2 boys are 25 months apart and it has definitely been exciting and crazy and fun and tough and amazing! Congrats and enjoy!! Congrats! Yes, two boys that close will be a handful at times, but they will also be best friends.